Services - Chesapeake Burial Vault Co., Inc.Chesapeake Burial Vault Co., Inc.
Chesapeake Burial Vault Co., Inc. is committed to providing your families with quality professional services with the best equipment available and a tribute that reflects one’s life. All grave openings and closings include opening of the gravesite, preparing the burial site for service, closing of the gravesite and landscaping of the area to restore original appearance. Contact our office (888) 327-7361 for a quote. All set-ups include a Tent, Polished Lowering Device, Greens, and 6 Chairs. 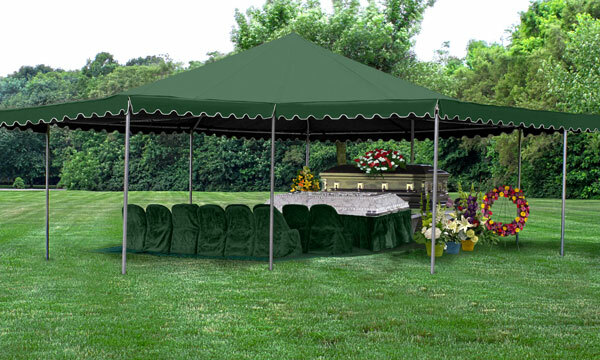 Upon request, graveside tent scenes are available with the purchase of a vault and full-set-up. Additional tents and chairs are available upon request. We offer disinterment and reinterment services to and from anywhere in the contiguous United States. We offer monument installation services which include foundations, granite monuments, headstones, grave markers, columbarium, mausoleums and bronze.